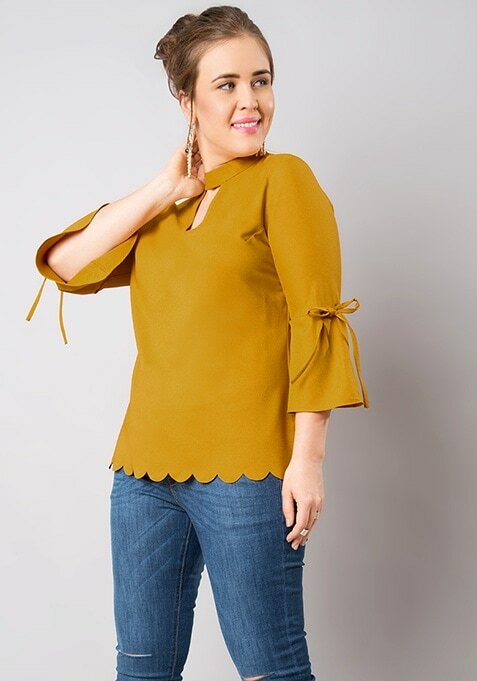 Make a noticeable style statement by wearing this mustard high neck top that has bell sleeves. Made from crepe, this top has 3/4th sleeves with tie-up. Work it: Style this trendy top with jeans and stylish heels.